Helleiner’s “forgotten foundations” of Bretton Woods shared many of the building blocks of FDR’s Good Neighbor Policy. (Though this is not a book on U.S.-Latin American relations, it will be of great interest to many scholars working on that topic.) While we often think of the Good Neighbor Policy in terms of a U.S. declaration of non-intervention, Helleiner highlights its economic side. This included, most famously, Secretary of State Cordell Hull’s reciprocal trade agreements. Less remembered, it included a new type of financial advisory mission, which was more heterodox and less paternalistic than its “dollar diplomacy” predecessors. The book also includes an excellent history of the ultimately failed effort to create an Inter-American Bank (IAB) in the early 1930s. That bank was an ancestor of the Inter-American Development Bank, created in the late 1950s, but Helleiner also shows how much the earlier effort shared philosophically with Bretton Woods plans. Many of the U.S. officials who worked on Bretton Woods had formative professional experiences working on these inter-American projects. Beyond that, many of these 1930s financial projects grew from Latin American initiatives to create national central banks and strong-but-flexible currency arrangements. These initiatives were seen both as nationalistic and as promoting national development. 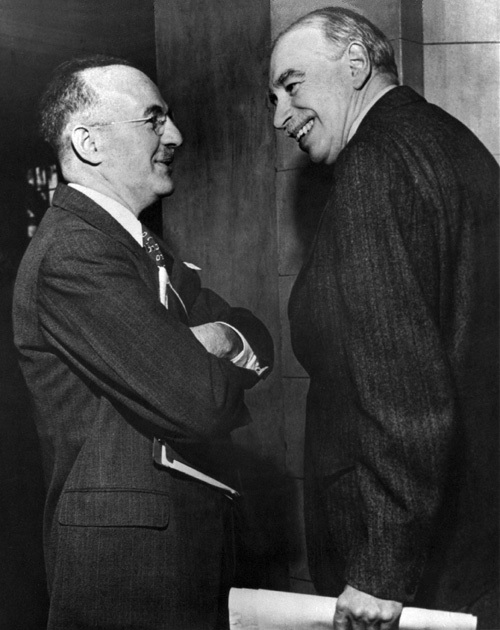 The Bank also responded to Latin American demands and employed Latin American economists’ plans for responding to the Great Depression in their countries: “the IAB proposal was a product of both Northern and Southern preferences,” Helleiner concludes, but its “original impetus” was Latin American (79). The IAB stagnated due to opposition from New York banks and their allies in the U.S. Congress despite FDR’s personal backing. It was a further casualty of the increased U.S. focus on the war effort. However, elements of that plan were resuscitated a few years later in planning for the post-war economic order. Helleiner argues that FDR sought to internationalize both the New Deal and the Good Neighbor Policy; his personal vision coincided with later development arguments: higher living standards abroad would enhance peace and stability and, ultimately, U.S. prosperity. Latin Americans were important players both numerically and substantively in the negotiations, and several countries were closely consulted in the preparations. Mexico and Brazil had input as early as July 1942. Robert Triffin, one of White’s aides, consulted closely with Argentine economist Raúl Prebisch, the most towering figure in Latin American economics for decades. More importantly, Latin American priorities were reflected in the drafts and final agreement. These included broadening the types of loans that the IMF would make so that these would be more helpful to commodity exporters—which began as a Cuban proposal. Likewise, Latin American preferences for exchange-rate flexibility were partially accommodated. Latin Americans also pressed for equal preference for reconstruction and development lending from the IBRD. On the whole, Helleiner succeeds in broadening the historical context for the origins of “development.” In fact, whereas many have credited Truman for that term, Helleiner shows that “underdevelopment” and similar concepts have roots decades earlier in the work of Chinese, Indian, and Latin American economists. (There are chapters covering China, particularly the work of Sun Yat-sen, as well as officials in East Asia, India, and Eastern Europe, though the positions of these countries were complicated by their situations during the war. Pardon my Latin American focus.) He relies heavily on U.S. and UK sources, barely dipping a toe into Latin American archives, but he starts the process of “decentering” this history of Bretton Woods (to use Chris Darnton’s term). Other scholars will build on this work to examine the preferences, debates, and strategies of policymakers beyond the White-Keynes axis. The global financial crisis once again exposed flaws in the global economic order. Despite reforms, questions about their legitimacy will continue to surface. Ultimately, Helleiner argues, we may find some of the answers to the challenges of reforming global economic institutions in their own histories. By tsl2m5 in Uncategorized on November 2, 2015 .